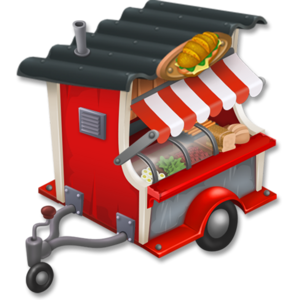 The Sandwich Bar is a production building unlocked at level 61. It is used to make veggie bagels, bacon toast, egg sandwiches and honey toast. The Sandwich Bar originally has two slots available. Unlocking the third slot costs 6 diamonds. Players can unlock 7 new slots in total, each new one costing 3 more diamonds than the previous one. Alternatively, they can spend a total of 105 diamonds to completely upgrade their machine.